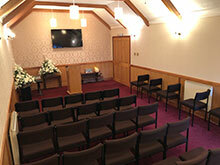 John McNeil Funeral Directors founded in 1949 is still run by the McNeil family. With John Gordon McNeil and his eldest son Stuart in charge of every day duties. 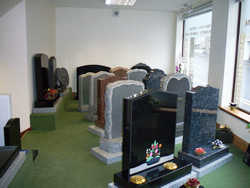 We provide an all inclusive funeral, tailored to each families particular requirements whatever they may be, and all arrangements are carried out with the utmost dignity and respect for the deceased and family. 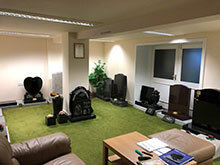 As the years have passed funeral requirements have changed, and we have realised a need for a private chapel of rest (pictured left) for the family's use. This is a tranquil, peaceful and private environment where the family can pay their last respects together as a family, and even hold a service if required. Monumental headstones, additional inscriptions and restoration work can also be arranged at John McNeil's where younger son Scott has nearly 20 years experience in monumental masonry, and with the recently built new Monumental Workshop with the latest state of the art technology memorials can be crafted from all types of granites and marbles to suit any requirement. 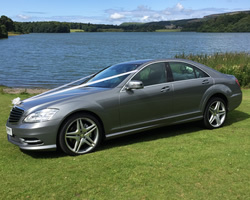 Our new fleet of Mercedes S-Class vehicles are always presented in immaculate condition and are ideal for your wedding day or special occasion. 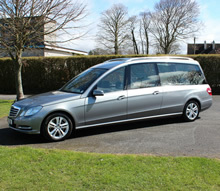 Our drivers are all dressed smartly in 3-Piece Suit and have many years experience in the conveyance of Wedding parties and the various photo and reception locations in the local vicinity. Cars are dressed with fresh flowers, ribbons and rosettes.